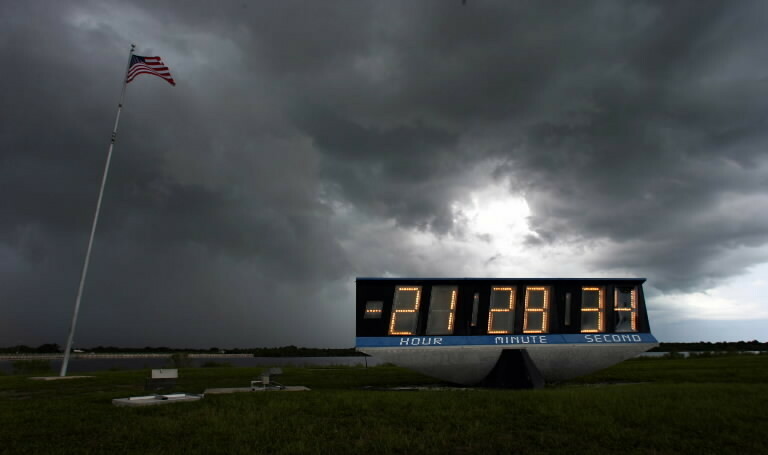 Counting down the days to my Whipple procedure is very much like watching the clock countdown at Cape Canaveral. The timeline is set. The clock is running. Certain things have to be finalized or the clock stops — again. It’s sorta like this scene from Apollo 13. Yesterday it was my cardiologist. Today was the endocrinologist’s turn. She’s good. There was one unexpected moment. I knew it was important to try and put on some pounds before the Whipple. Today the doctor said weight gain was more important today than strictly following the mostly carb free diet. I will taste a few sweet things over the next few days. Ahhhhhh. There are some medication adjustments coming. The anti-coagulants I took after getting my heart stents will stop. I’ll be chugging a Magnesium Chloride (think bad cherry soda made with salt water) cleanse Sunday night. Tic, tic, tic. Time to wait. Hang in there. You are facing the idea of jumping into a precipice. It will be less that in the fear factor, but slightly more uncomfortable than you might have thought. But you are a determined kind of guy. Chin up, take a deep breath, and know you are in good hands. All just a few milestones to get you to where you gotta be! I have a friend (yes, she’s alive and well) that had a Whipple a few years ago. And trust me if she can do it, you can! You got this Geoff. How cool would it be if the operating room did a Go-No-Go before the operation?? Wishing you the very best. I know that it’s not easy. I just felt compelled after all these many years seeing you in my home (albeit on TV) and feeling as many do, that I actually know you! There are things to feel positive about. Modern medicine is one for sure. What they know and how they function has improved significantly over the years. I and many more of us from CT are hoping for the very best for you. Praying for you Geof ! We used to follow you all the time in Avon, CT, & we both miss seeing you. Yes,hang in there…be brave…you can definitely do this. We are all routing for you………!